Mozilla, the outfit behind Firefox, one of the world’s most popular web browsers, just released a beta of Firefox 29. Though Firefox updates usually don’t contain much beyond bug fixes and perhaps the addition/revamp of a feature or two, Firefox 29 beta is the exception, bringing forth not just new features, but a new look and layout as well. Arguably the biggest change in Firefox 29 beta is the addition of Firefox Sync, which, with an account login, allows you to sync things like your browsing history, bookmarks, add-ons, favorites and more across all your devices, assuming you have the beta installed on all of them. 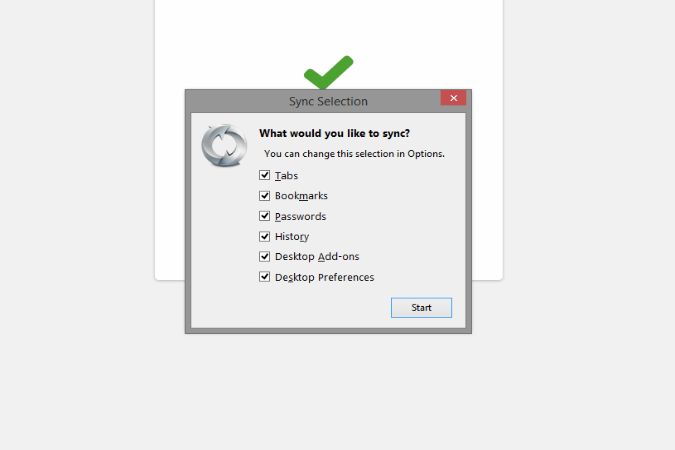 All you need to do is create a Firefox Sync account within the browser, log in, and use it like you normally would. Assuming you install Firefox 29 beta on other computers/devices, your preferences would automatically be ported to that instance of Firefox 29 beta as well. However, Firefox Sync isn’t exactly new to the browser, but the previous version of the feature was buried, and didn’t work very easily, requiring users to input codes to sync the browser with other devices. With the new version of Sync, you’ll just have to log in with an email address and password. As we mentioned up top, Firefox 29 beta also brings changes to the browser’s layout. Instead of an orange menu button in the upper left corner, you’ll need to access options and settings via a Google Chrome-esque button in the upper right-hand corner with an icon consisting of three short horizontal lines. However, instead of a menu comprised of a simple list, clicking on the options button pulls up a menu consisting of graphical icons, from which you can customize browser settings, print a webpage, search for/install add-ons, and more. You can also swap the icons in and out, so if there are features/options you don’t see yourself using much, you can just drag and drop them outside of the menu, and off they’ll go. From a visual point of view, the most striking change we’ve noticed is the way the browser approaches multiple browser tabs. Instead of clearly separating them with easy to see lines for each tab, tabs now seemingly appear as a single, continuous stream. Each tab still has a single line separating them from one another, but they’re much more difficult to see, which resulted in a mis-click or two on our part when attempting to switch between different tabs. We also found Firefox 29 beta a bit laggy in the performance department. Closing tabs took a few clicks in one instance, and moving tabs about from one place to another resulted in some stuttering. We also gave Sync a shot, logging in on our primary PC and then logging into Firefox Beta 29 on another rig to see if all our preferences switched over. Browsing history did almost immediately, but a couple of hours later, our bookmarks have still yet to carry over. Then again, this is the beta, and we trust that these issues would be ironed out in a full release. We can’t help but wonder what changes will be made between now and the point when Firefox 29 goes live to the public. What do you think of the changes? Sound off in the comments below.